For a server room cooling in the UK , click here. Computer Room Cooling is a no-frills budget provider of server room cooling . 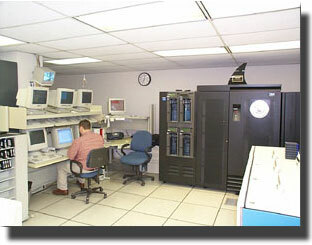 If you simply need a computer room air conditioning unit or a server room cooling call us. We operate anywhere in England, Scotland and Wales . Computer Room Cooling is operated by Icecape Ltd trading as RAC Kettering, who are long established commercial refrigeration engineers. Computer systems and other electronic installations play a vital role in many business operations and they need to operate with complete reliability at all times. Mission-critical business applications demand 99.999% availability of IT systems that rely on cooling and air conditioning for consistent performance. Offering a service to IT Managers, Building Managers, or anyone who has the responsibility to maintain Server Room / Computer Room temperature, whether end user or contracted supplier. The majority of our emergency response calls involve the failure of air conditioning equipment associated with critical temperature computer and server rooms. Whilst in most server room environments there will undoubtedly be back up drives, UPS and emergency plans for the failure of the computer equipment itself, it is unlikely that the air conditioning system has inbuilt spare capacity and that a suitable plan exists to support it in the event of breakdown. At best, this will usually rely on the call-out facility of the air conditioning maintenance contractor and - as quick and competent as the technician may be - if the failure is due to an obsolete or obscure part, there is little he can do. At this point you have two options.Call a local hire company and arrange for delivery of a mobile cooler in the hope that it will be suitable. On arrival, you will need to find a suitable power supply and work out how to duct the waste heat to atmosphere. Its often the case that all the sockets are in use and the room is internal with no natural ventilation. RAC Kettering can visit your site and carry out a risk assessment and identified the type and capacity of cooling equipment most suitable for your requirements. We can advised on any pre-works required - i.e. power supply and ventilation requirements - so that when needed, the equipment can be installed quickly in your server room and can begin working effectively. * Carrying out a site inspection, giving advice on the type and capacity of air conditioning equipment that you would require in the event of your existing equipment failing, and recommending any pre-works required to facilitate installation. * Having surveyed the premises and subject to pre-works having been completed, we can react quickly to your request and deliver suitable equipment for immediate installation. * The supply of equipment to site on a non operational agreement so that it is immediately available for use in the event of failure of the on-site air conditioning units. Server room and computer room air conditioning specialists. The servers and computers that run your network are all designed to function in a very specific temperature range. To ensure reliable operation and the longest possible life from components, you need to ensure that temperatures stay within those limits. Overheating by even a few degrees can blow a server chip. It doesnt take a great surge of heat to damage server and network equipment - a couple of degrees too high and you could be facing considerable downtime. Network failure can be very costly. Server and computer equipment repair or replacement can run into many hundreds or even thousands of pounds. And that's only the beginning. Think also about lost e-commerce business, lost customer details, wasted staff time, and all the other associated costs that will mount up whilst your critical systems are offline. Q. We already have an air conditioning system in our server room. Why do we need your service? A. Our service is intended as an emergency backup service. All server rooms should have a permanent air con system. However, if this system fails many companies do not have a backup system in place. Our service provides stand by equipment on a non operational basis until your main system can be repaired or replaced. Q. Does your service provide cover even outside normal business hours (9 - 5)? A. Your existing out of hours server cover will suffice as all pre-install works for the standby air conditioning will have been completed. If there is room the unit may well be in place. We will have previously demonstrated the simple installation and settings to a nominated person. Q. I can hire an air con unit from a high street store. Why is your service different? A. Its different because of the sevice level. The equipment we supply will be suitable for the job, it will be inspected & serviced regularly, "when it is needed it will work". Each of our air conditioning and cooling units is selected for a particular niche feature, such as low operating noise - a must for boardroom and small office applications - or high air flow, a requirement for larger and open plan offices. At Cooling Equipment Hire we dont expect our customers to work things out for themselves with a tape measure and a quick calculator; the things to consider are many and varied, with each application being unique. Cooling Equipment Hire Limited is not a general hire company; we specialise in the provision of comfort and process cooling through the application of portable and temporarily installed fixed air conditioning and cooling equipment. * Fixed installation or temporary? Our knowledge and experience in air conditioning hire and environment cooling has been gained over many years and many hundreds of projects and our fleet of quality cooling equipment includes: air to air monobloc units, both single and twin pipe, split systems, spot and evaporative coolers, air handling units and process water chillers. Managing the cooling in your datacenter or server room can be quite a tricky subject. However, there are many different guidelines to follow that will help explain exactly what cooling solutions will work best for your datacenter. There are many different types of cooling that may work in different situations. A BTU stands for British Thermal Unit. A BTU is the amount of energy required to raise the temperature of a pound of water one degree Fahrenheit. Since you are not concerned about heating a room, but yet cooling it, the BTU measure you will be concerned with is an Air Conditioners rating to control a certain amount of BTUs. How Many BTU do I need? This is not a very simple question, however there are several factors that contribute to how much cooling power a specific room or datacenter needs. The big factors are space of the room, equipment, lighting, and people. To calculate an estimated total requirement for cooling follow the steps that follow. The size of the room has a lot to do with how many BTUs you will need to employ to cool down your server room or datacenter. Use this equation to determine how big of a factor the size of your server room is. This assumes you have 8 ft ceilings and the average amount of insulation of a datacenter. Remember that the length and width is in meters and not feet. Length X Width X 330 = BTU from space. Another large factor to consider while cooling your datacenter is the equipment. As equipment gets faster, more powerful, larger storage, etc. it also gets hotter. Switches, routers, SANs, and severs all generate large amounts of heat. Hard drives and processors both generate large amounts of heat. Luckily, units that generate a lot of heat are also the ones that consume a lot of power. This makes the calculation significantly easier since you can use the wattage to calculate the power consumption of equipment. It is best to judge from the total consumption rating on your server, SAN, switch, or router instead of using actual consumption. Otherwise, during peak times the datacenter runs the risk of overheating. Total Wattage X 3.5 = BTU from equipment. If your server room or datacenter is well lit, it is also important to take the heat that is generated from these lights into consideration. Lighting generates a noticeably higher amount of heat per watt of power consumption. Use this equation to determine total BTU output from lighting. Wattage X 4.25 = BTU from lighting. While many datacenters and server rooms rarely see occupants on the server floor, it can be important to take note of if there is support staff involved with the servers. Calculate from the maximum expected number of occupants that will be in the room at any one time for an extended period of time. Occupants x 400 = BTU from people. To calculate the total BTU of your datacenter or server room, add all these calculations together. You may want to consider other sources of heat that might be unique to your datacenter. Which Cooling Solution Should I Use? This depends on the BTU that you calculated above. It also depends on weather you have a small server room, or a large datacenter. If you have a small server room, you might want to either get a window unit or a NetworkAir PA unit from APC. If you have a much larger need, you will have to look into higher-grade industrial strength air conditioners. These industrial grade air conditioners will probably not measure their cooling capacity in BTU but in TONS. One Ton of cooling power is the same as 12,000 BTU. Now you can calculate your total BTU and consider which unit to chose for your datacenter or server room. It is important to consider future expansion, and be prepared for it. Buying a cooling unit for the current equipment and having plans to put in several more racks full of servers would not be a good idea. It would probably require buying a whole new cooling unit, or some alternative small cooling unit. It is also important to consult with an expert before making a purchase on anything that is mission critical. Just remember to take everything into account while planning your next server room or datacenter. Your supplier of server room cooling , computer room air conditioner , computer room cooling , portable computer room air conditioner , computer room air conditioning unit , computer room air conditioning ,computer room air conditioner , computer room air conditioning , computer room air conditioner , computer room air condition , server room air conditioner , server room air conditioning , air conditioning server room , , , , , , , , to London , computer room air condition ,server room air conditioner ,server room air conditioning ,air conditioning server room , , .